Time: 5:00 – 10:00 p.m. 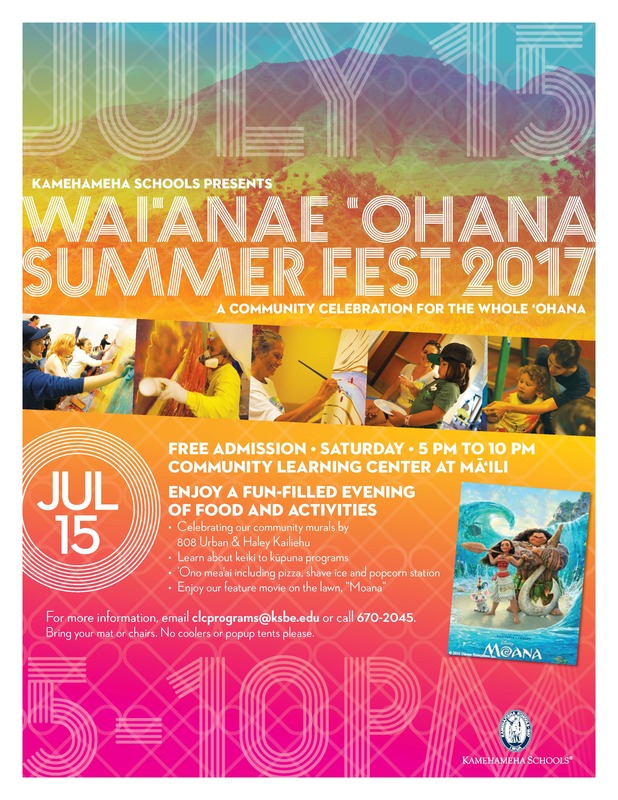 Enjoy an evening: celebrating our community murals by 808 Urban and Haley Kailiehu, learn about keiki to kupuna programs, ‘ono mea‘ai including pizza, shave ice, and popcorn station, movie on the lawn: Moana. Bring your mat or chairs. No coolers or popup tents please.